There is more to regulatory compliance than simply identifying the specific regulations applicable to a company. Organizations must also assess their compliance status against regulations and internal policies. 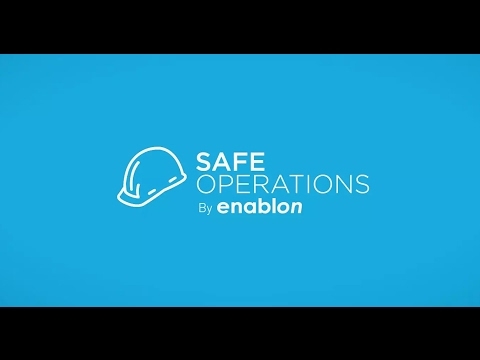 The Enablon Audit Management software enables the deployment of standardized audits, self-assessments and inspections to facilities around the world. The solution enhances the productivity of auditors and audit program managers, and provides organizations a clear measurement of their level of compliance. An automated, centralized audit management solution should improve business processes in addition to helping organizations monitor their regulatory compliance status. The Enablon Audit Management software reduces audit costs by standardizing the assessment of regulatory compliance across the organization, instead of having disparate and duplicate processes. Targeted audit plans can be developed based on historical compliance performance and other risk indicators. In addition, all potential instances of non-compliance can be identified in a more consistent way. By uncovering instances of non-compliance, companies can assess their weaknesses, and therefore discover opportunities for improvement leading to greater effectiveness and resilience. Real-time security incident reporting and guard management. Many options for customization. Reports and dashboard are extensive. Mobile app is great for staff to report incidents. Integrated system to capture information from all modules. Cut down at least 25% of time spent on monthly and quarterly reporting. The support is fantastic. Quick detailed responses to get you back on track if you have questions. Cost. This is a 6 figure annual costing system. For large organizations this might be affordable but there are many other smaller systems that can do the same thing. Below are some frequently asked questions for Enablon Audit Management. Q. What type of pricing plans does Enablon Audit Management offer? Q. Who are the typical users of Enablon Audit Management? Q. What languages does Enablon Audit Management support? Q. Does Enablon Audit Management support mobile devices? Q. Does Enablon Audit Management offer an API? Yes, Enablon Audit Management has an API available for use. Q. What other apps does Enablon Audit Management integrate with? Q. What level of support does Enablon Audit Management offer? Q. Which apps is Enablon Audit Management compared to most often?